Dental fillings are among the most commonly performed dental procedures today, providing a structurally compromised tooth with the strength it needs to function even after it has been affected by decay. For decades, fillings were made of an amalgam of silver, mercury, and other metals, but today’s dental technology makes it possible for us to provide a much better alternative. At D’Amico & Mauck, DDS in Aurora, CO, Dr. Nicholas D’Amico and Dr. Matt Mauck offer patients a modern restorative option that blends seamlessly with surrounding teeth: composite tooth-colored fillings. The most obvious benefit associated with tooth-colored fillings is the aesthetic factor. Because the composite resin is precisely color-matched to the natural shade of your tooth enamel, the worry of a conspicuous dark metal filling is a thing of the past. 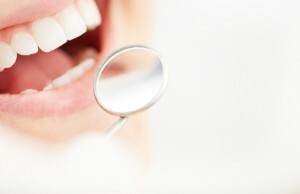 This is particularly important when the filling is required on a tooth surface that is clearly visible when you smile. With tooth-colored fillings, you can feel free to smile openly. No one will be able to tell that you’ve had a filling placed because the results look completely natural. Another prime benefit of tooth-colored fillings is their resistance to changes in temperature. While metal fillings have been shown to expand and contract due to extreme heat or cold, composites maintain their size and shape. This means that there is a significantly reduced risk of microfractures in the enamel over time. Furthermore, tooth-colored fillings allow for the preservation of more tooth enamel, meaning that we can preserve more of your natural smile than with silver amalgam restorations. Drs. D’Amico and Mauck look forward to helping your smile look and feel its best with our extensive array of restorative, preventive, and cosmetic dentistry services. Contact us today to schedule your appointment, and learn more about the advantages afforded by tooth-colored fillings. Our family-friendly dental practice in Aurora, CO proudly serves patients from neighborhoods in surrounding communities as well, including Denver, Centennial, Denver Tech Center, Parker, Englewood, and more.